The curious parts and pieces of the natural world. Illustrated guide. Written and Illustrated by Julia Rothman. Paperback. 223 pages. 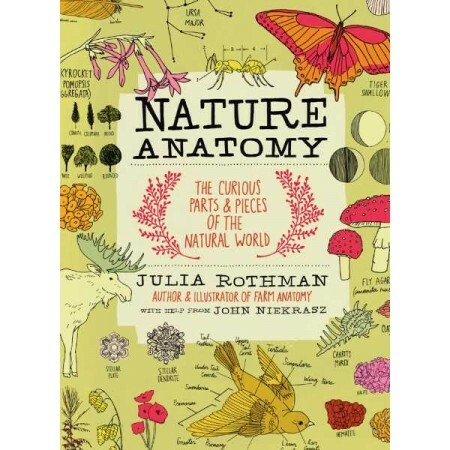 This beautiful guide combines art and science in Julia Rothman's fascinating visual tour of the natural world. See how mountains are formed and discover the life cycle of a mushroom, and find out the different types of feathers on a bird. Delight in exploring Rothman's drawings, diagrams and dissections. Her spirited exploration of earth and water, flora and fauna will open your eyes to new views of nature's wonders. Illustrated guide. 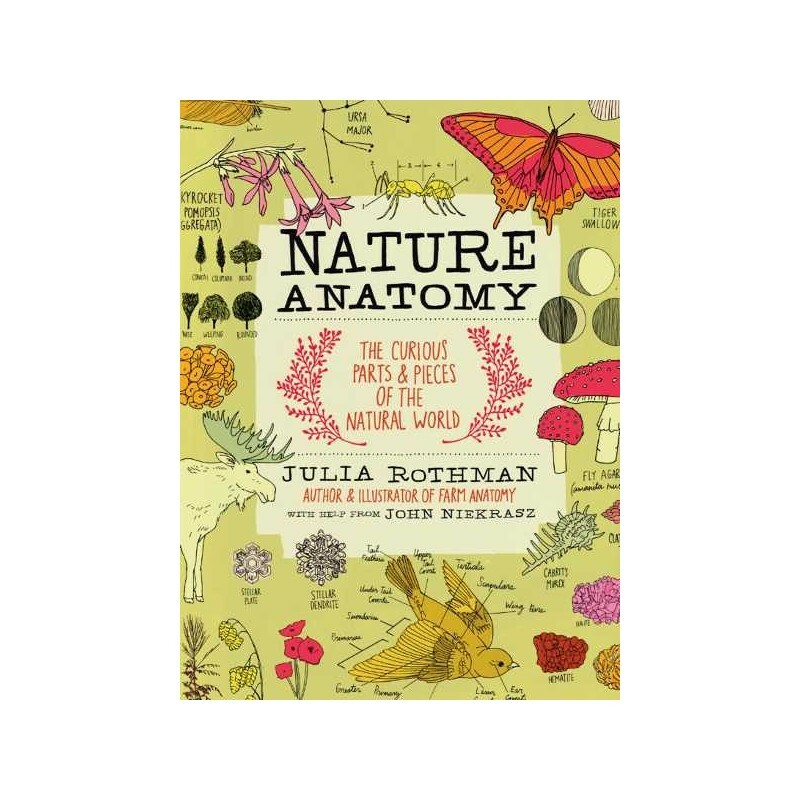 Written and Illustrated by Julia Rothman. Paperback. 223 pages. Published in 2015. A great little book packed with info... although very much centred around nature found in the northern hempisphere.